For past 15 years, we have been offering cost-effective and reliable Water Treatment Solutions in Singapore. 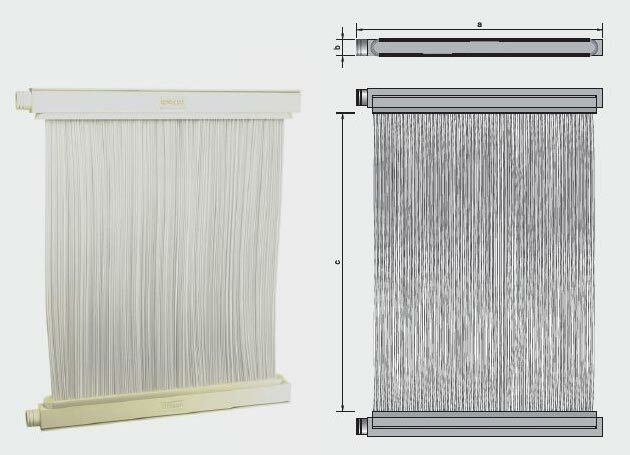 Our MBR Hollow Fiber Membranes are based on advanced technology and feature exhibit exceptional efficiency in the treatment of contaminated water. We are manufacturing and supplying MBR Hollow Fiber Membranes that have excellent separation capability, are mechanically very tough and have a long functional life. Excellent quality product water : PermaMax™ MBR hollow fi ber membrane module utilizes PVDF membrane with nominal pore size of 0.08 μm, is capable of producing product water of reliable quality with below 1 NTU. The treated water is free from e. coli and has minimal suspended solids. Low capital cost and compact design : The MBR system does not require a fi nal sedimentation tank and can be retrofi tted into existing plant with ease. With a higher MLSS, of 8000-15000 mg/L, than conventional method, the MBR system can accept high organic (BOD) loading with less excess sludge production. Ease of maintenance : Minimal maintenance personnel required with full automation on system backwash and chemicalclean-in-place (CIP). High performance : High and stable permeate fl ux with excellent separation capability. High reliability : Narrow pore size distribution guarantees excellent treated water quality. PVDF material provides exceptional chemical compatibility and durability. High mechanical strength : PermaMax™ MBR hollow fi ber membranes are made exceptionally tough to abate breakage under harsh environment. Long lifespan : Longer service life reduces maintenance and replacement frequency. This reduces system downtime and sustains performance KPIs.